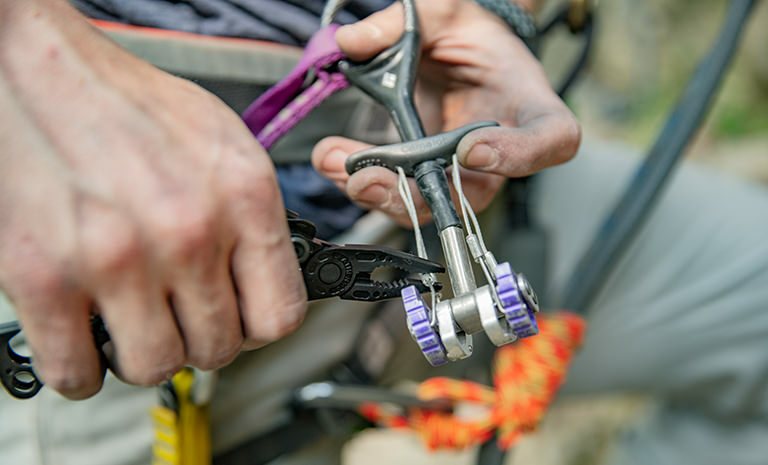 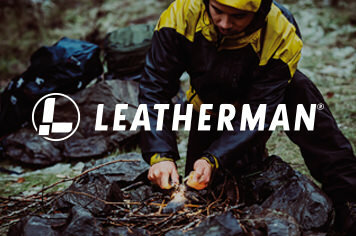 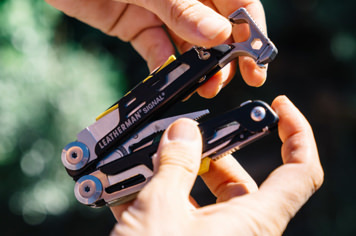 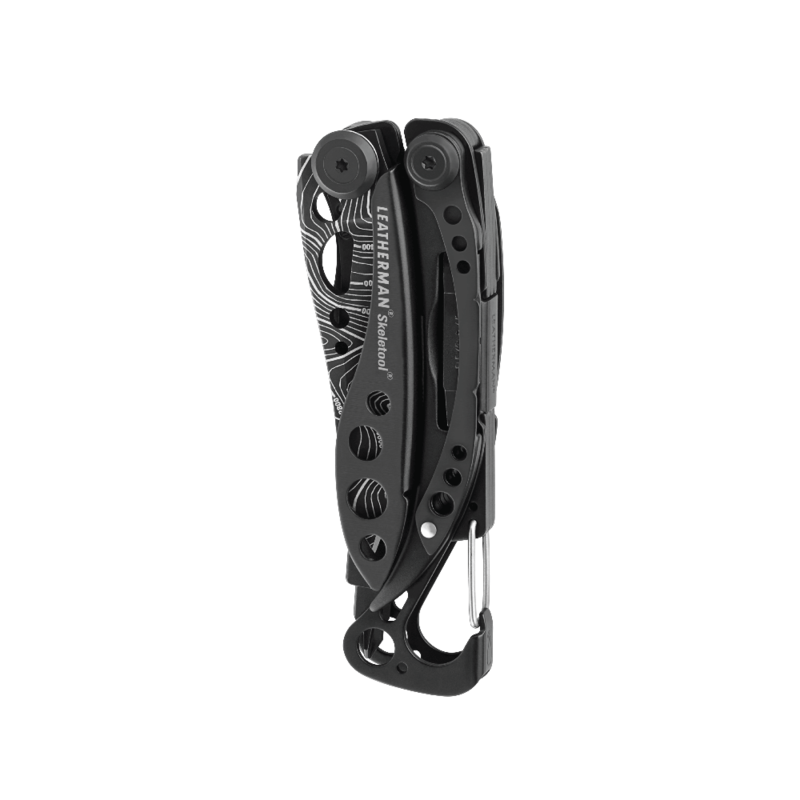 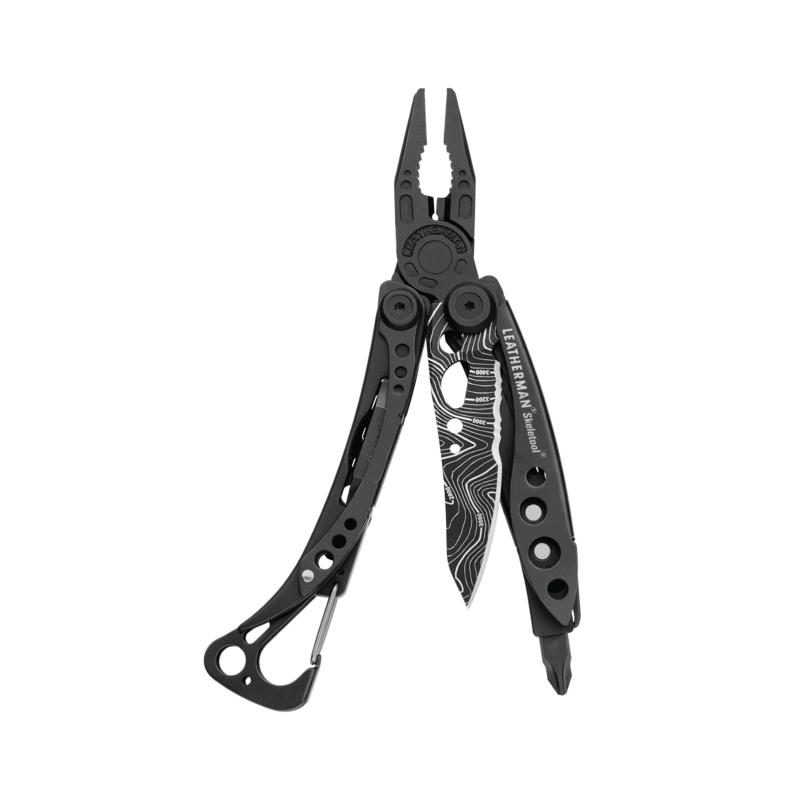 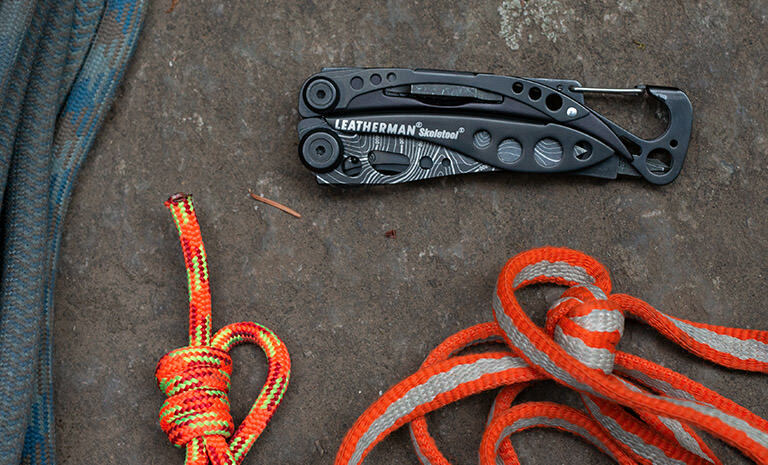 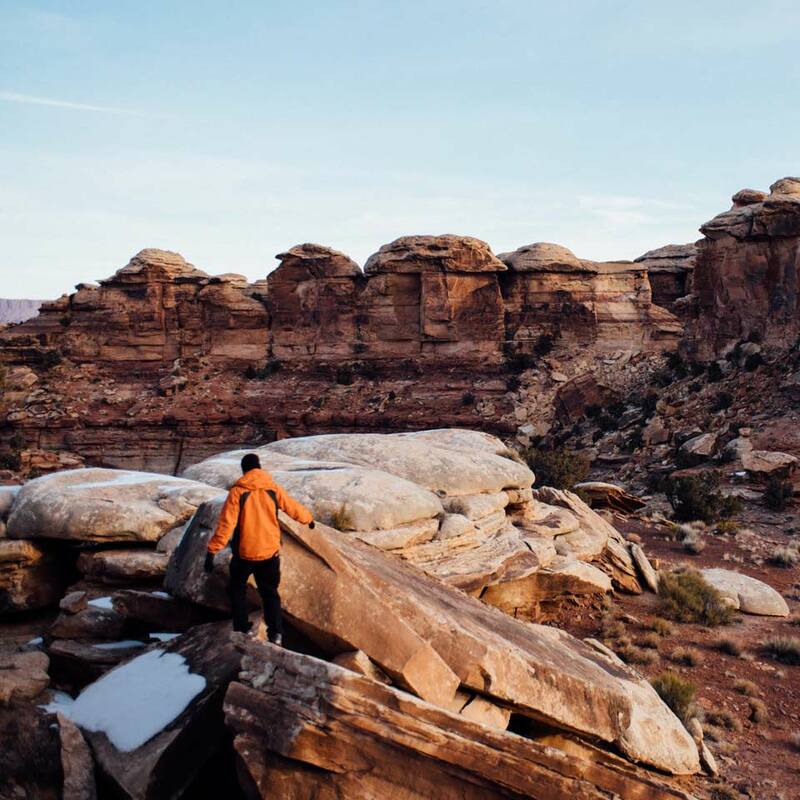 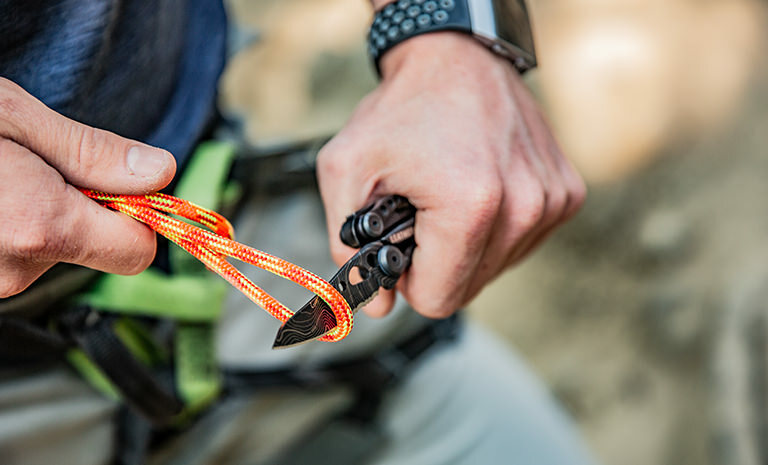 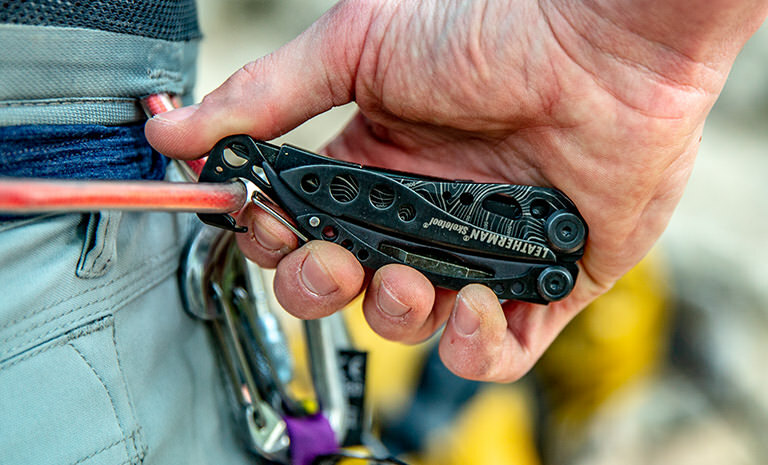 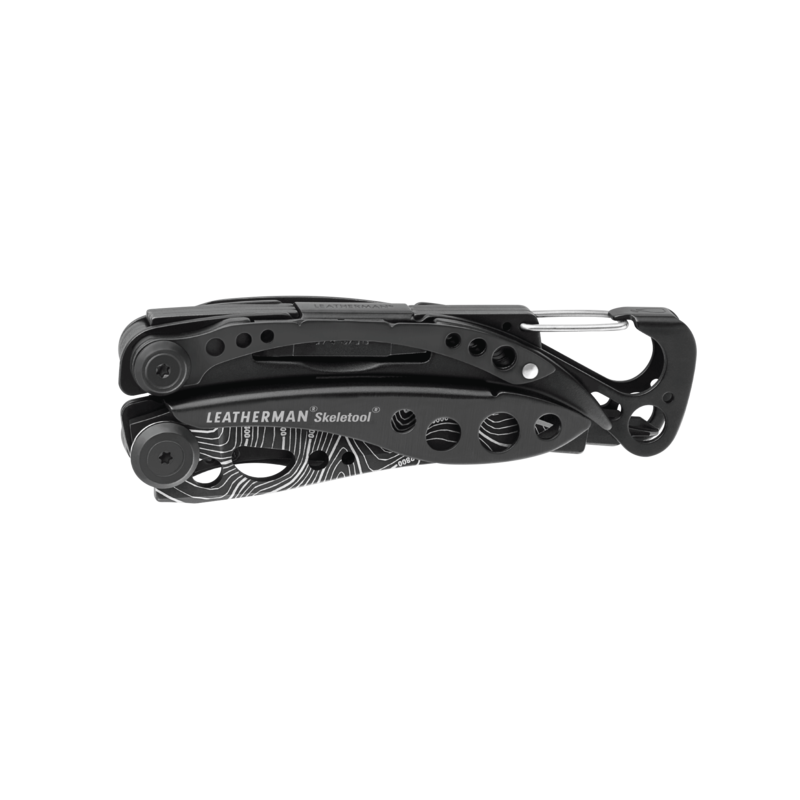 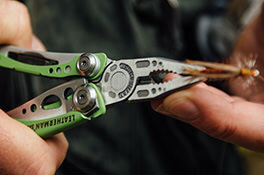 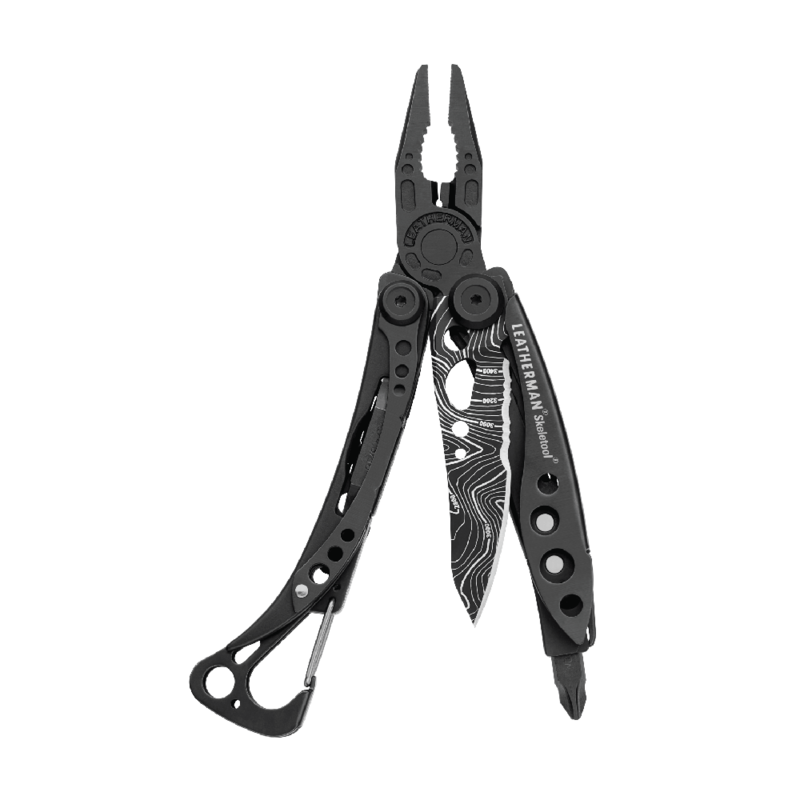 At a mere five ounces, the Leatherman Skeletool has a stainless steel combo blade, pliers, bit driver, removable pocket clip and carabiner/bottle opener. 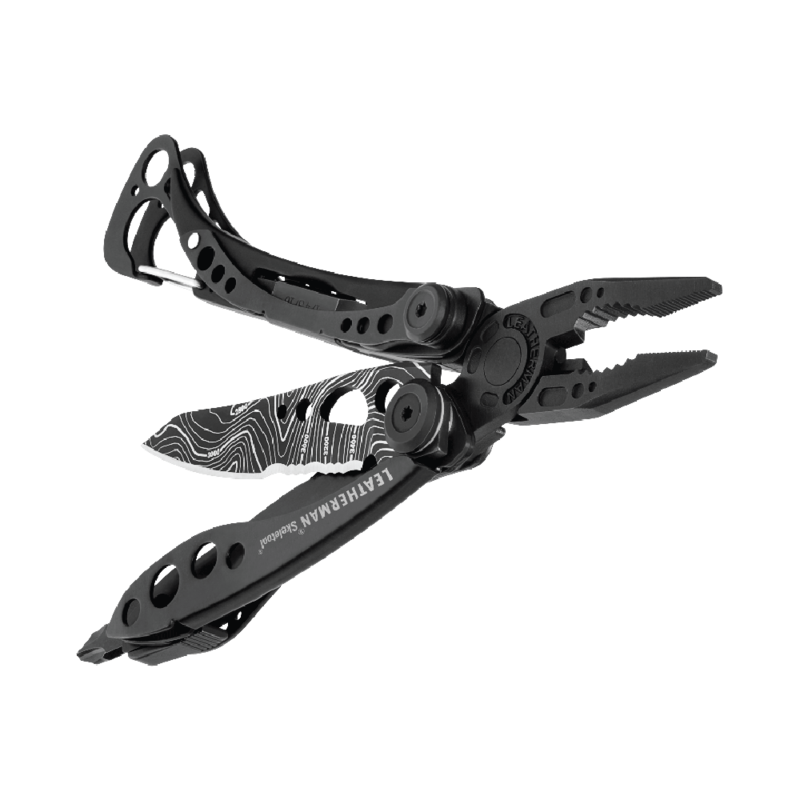 The Skeletool is just what you need in one good lookin' package. 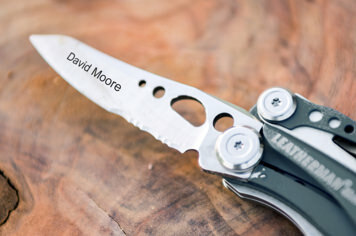 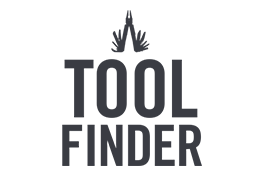 A topographical map design is laser-etched into the knife blade, and the handles have a matte black finish.